Open Doors is a non-profit organization dedicated to exposing the persecution Christians face in over 60 countries, all while generating the findings on the Christian Reality for many of the faith the world over. According to the Open Doors’ report, there are approximately 50 countries, where you cannot be a Christian. If you are a Christian in these countries, you face dire persecution. In 2016, the findings indicated that Christianity was the most persecuted religions on the face of the Earth. In 2017, the United Nations is finally beginning to regard the reality that millions of Christians face across the world, genocide. The United Nations ‘refugee program’ has solely focused on Muslims in the Middle East for the past several years. Meanwhile, Christians and other religious minorities are systemically being wiped out by those claiming to be Muslim. The top ten countries, in order, for Christian persecution are North Korea, Somalia, Afghanistan, Pakistan, Sudan, Syria, Iraq, Iran, Yemen, and Eritrea. Furthermore, the Open Doors report indicates that there are fifty countries where you cannot openly be a Christian. You can see the full report, by downloading it right here. The charities research indicates that those who practice Christianity in certain countries are subjected to a mental hospital because some of the families believe that no sane person would ever consider leaving islam. Interestingly enough, in 2016 several non-profit organizations disseminated information that Christian oppression was prevalent enough to detail in their respective reports. One report from LifeWay Research which conducted a survey indicated that 63 percent of Americans agree or strongly agree that American Christians are facing growing levels of intolerance, up from 50 percent in 2013. However, in America, a prevalent undertone of the aforementioned is the reality of where this intolerance leads, eventually to Christian persecution. 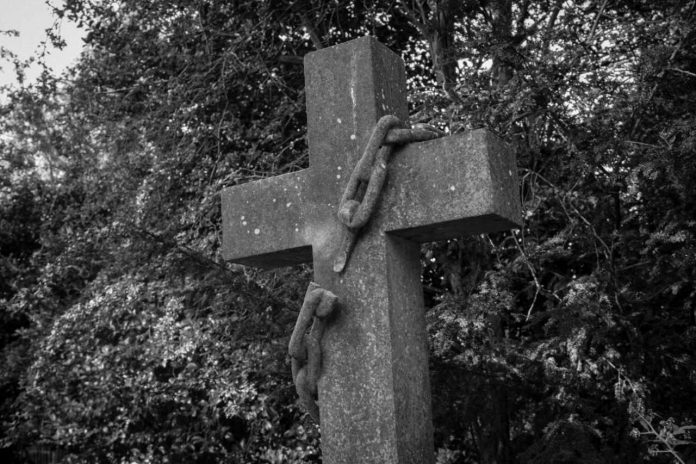 According to Open Doors, the worst persecutor of Christianity is still socialistic practice. Open Doors details that North Korea is by far the worst place in the world to be a Christian, even though there is a growing population of Christians in the hermit state. 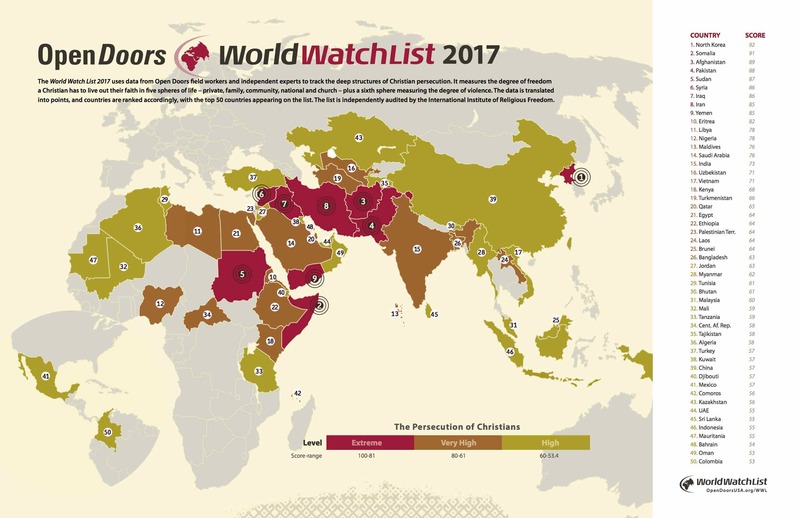 Once again, North Korea is ranked as the most oppressive place in the world for Christians, #1 on the World Watch List. In this totalitarian communist state, Christians are forced to hide their faith completely from government authorities, neighbors and often even their own spouses and children. Due to ever-present surveillance, many pray with eyes open, and gathering for praise or fellowship is practically impossible. Worship of the ruling Kim family is mandated for all citizens, and those who don’t comply (including Christians) are arrested, imprisoned, tortured or killed. entire Christian families are imprisoned in hard labor camps, where unknown numbers die each year from torture, beatings, overexertion, and starvation. Those who attempt to flee to South Korea through China risk execution or life imprisonment and those who stay behind often fare no better. Through local partners, Open Doors is serving Christians in North Korea by providing them with emergency relief aid, along with Bibles, books, and other discipleship materials. Open Doors partners in China also provide shelter and aid for Christians who have fled North Korea. Asia is home to hundreds of millions of Christians, most of which are under drastic persecution and oppression. In India, there are roughly 63.9 million Christians which face persecution from the Hindu nationalist Bharatiya Janata Party. In China, there are approximately 97.2 million Christians all of which are under “high” persecution, in addition, a considerable number of them are still imprisoned for their faith according to Open Doors.